We really do "make cool stuff". 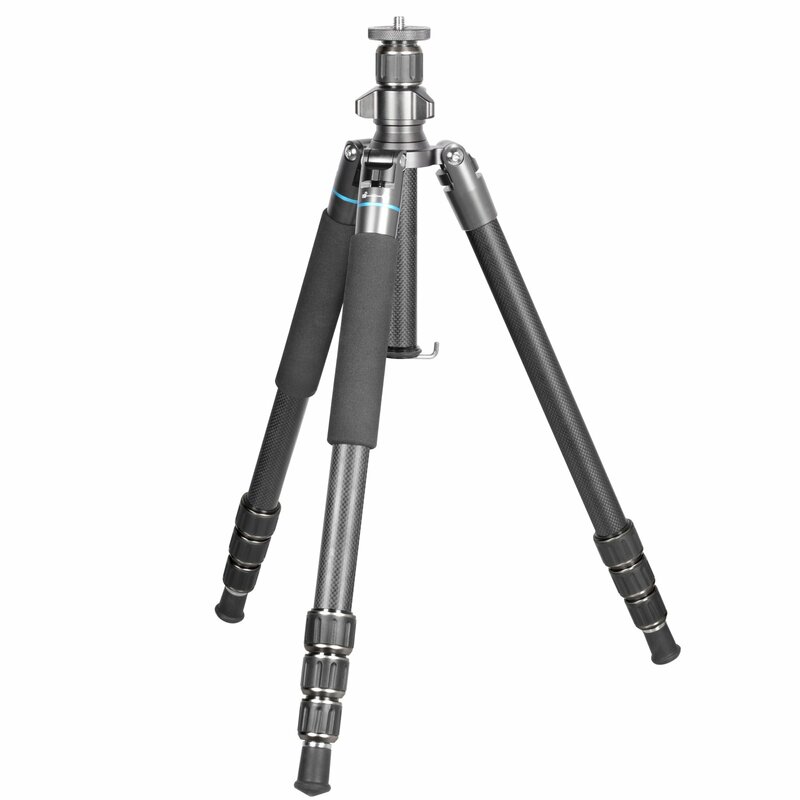 This professional grade tripod is the perfect combination of features, performance, versatility and cost. 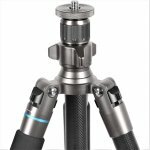 The tripod converts instantly into the best trekking polls you will ever use, a fantastic set of shooting sticks, and the perfect platform for spotting scopes and high powered photography. This one you've got to see it to believe it. 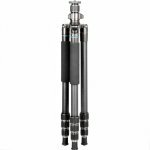 Professional light weight, compact, high strength, tripod using 26mm dia 8 layer carbon fiber tube, 62" tall, 4 segment legs for maximum strength and a 2 segment center tube for minimum folded length. 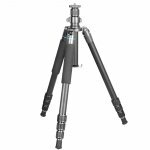 Ideal for outdoor mobile and stationary digiscoping, video, long lens DSLR photography, extended standing and outdoor spotting scope and binocular users. And designed specifically for birding, indoor portrait and landscape & professional photography. 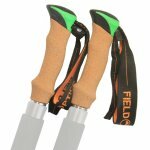 Two removable legs allows multi-purpose use as a high strength trekking sticks with tow foam leg grips or attach the optional ergonomic designed soft handle trek grips. 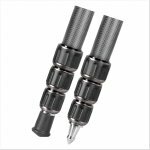 Or, optionally connect both legs with our high strength V-Stick shooting stick accessory. 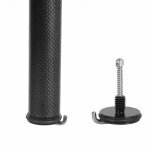 Converts both legs in to fully adjustable high strength shooting sticks.